The retail industry has changed quite a bit over the past decade. Online shopping has exploded in popularity, leading to market leaders like eBay and Amazon significantly expanding their product offerings over time. With this in mind, some may have been surprised to see Amazon seemingly take a step backward by recently launching their own physical retail location. However, Amazon's "Go" supermarket is far from a typical store. Go locations feature checkout-free technology that allows customers to walk in, pick up any items they want and walk out - the store's many weight sensors and cameras handle the rest, sending a bill to your Amazon account later on. Now it seems traditional retail companies could also get in on the checkout-free experience. According to Engadget, computer vision company AiFi has created a checkout-free system that can be implemented in virtually any existing retail store, whether it's owned by a giant corporation like Walmart or a small family. "Here's what we know. More than 90% of last year's retail sales came from physical stores yet Americans spent at least 37 billion hours waiting in line, which is considered the top frustration among shoppers," AiFi CEO Steve Gu said in a statement. "Convenience is key if stores want to grow and drive business. Or solution helps stores run more efficiently and provides customers with a better shopping experience." "Convenience is key if stores want to grow and drive business. Or solution helps stores run more efficiently and provides customers with a better shopping experience." From the information the company has provided so far, it sounds like AiFi's checkout-free system will work in much the same way Amazon's does. However, AiFi calls Amazon's solution the "tiniest taste" of what their own checkout-free tech can do. 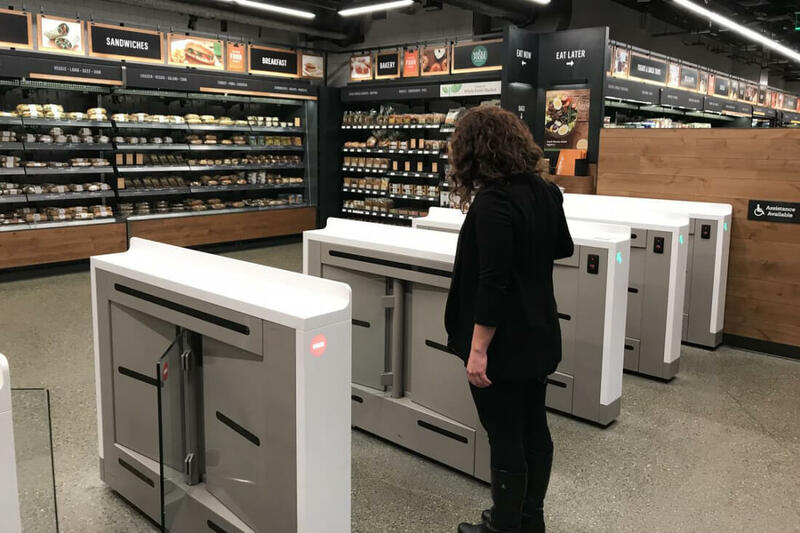 In addition to using Amazon Go-like sensors, cameras and AI technology, AiFi says their system will offer retailers "a comprehensive understanding" of an individual's shopping behaviors and gestures. AiFi also says their system can detect "abnormal gestures," though it's unclear what that means right now. Furthermore, AiFi's system won't require any "major retrofitting" to install at a given location, meaning, in theory, companies like Target and Walmart wouldn't need to launch entirely new locations to begin testing.